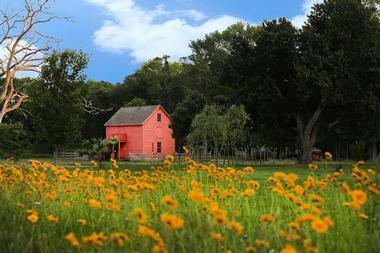 New Jersey is renowned for its historic museums and sites to behold. Jersey City is the location of Liberty State Park, where ferries embark for nearby Ellis Island. New Jersey’s coastal region hosts exquisite beach hotels of great architectural design, in which visitors and guests can lodge and relax after a long day of touring the state. 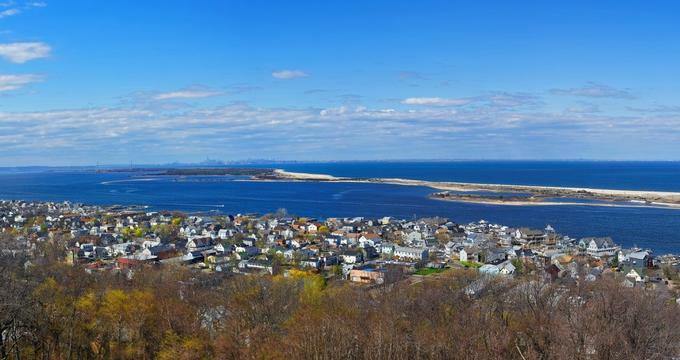 Here are the best things to do in New Jersey. 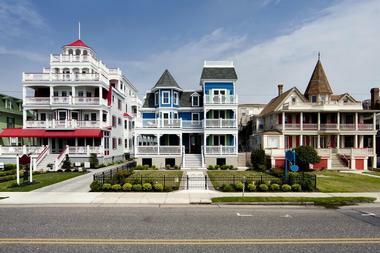 The Cape May Historic District is a seaside treasure offering beautiful views and classic Victorian architecture. The historic streets host hotels, bed and breakfasts, and churches. For stunning ocean views, take a trip to historic 1858 Cape May lighthouse or World War II Lookout Tower. 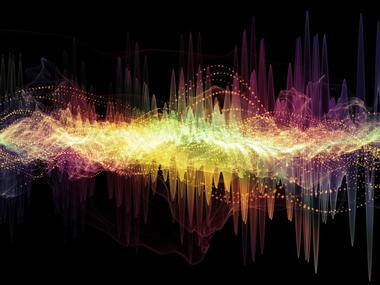 Liberty Science Center exposes guests to the process and ways of communication, from totem poles and body language to sound waves. Guests have the chance to watch how animals catch their food without becoming preyed upon themselves in the exhibit called Eat and Be Eaten. The Energy Quest exhibition allows guest to explore energy choices and learn ways to utilize the earth’s diverse resources. Guests can get a close-up view of honey bees and hear how they are a vital part of the ecosystem in Honey Bees: Home Is Where the Hive Is. Experience the Infinity Climber, a thrilling, 35-foot-high, multi-story play place that dares you to climb, crawl and balance through the suspended pathway. Be sure to check out the centers most popular experience in the Touch Tunnel, where guests use their sense of touch to navigate through a twisting dark tunnel. 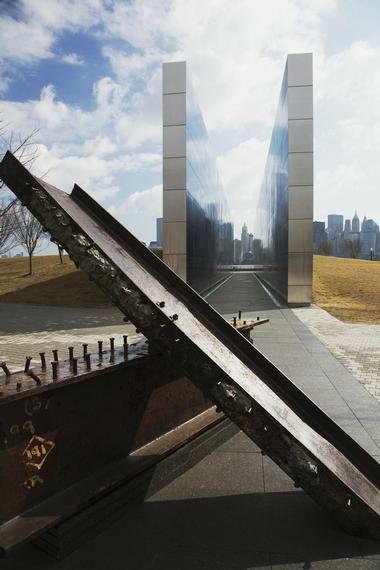 The Empty Sky 9/11 Memorial was designed to keep the memories alive of those 749 New Jersey natives who died in the September 11, 2001 attack on the World Trade Center in New York City. The goal of the memorial is to console the families of the victims, helping them feel that the memories of their loved ones weren’t lost on that fateful day. Thomas Edison National Historical Park is a laboratory complex of the past, when machines were run using belts and pulleys, and music played on phonographs. It displays a collection of items used by one of the greatest inventors, Thomas Edison. One of the most outstanding items is Edison’s talking doll recordings of 1888, which guests can see photos of and read about. The collection displays the lab furnishings and equipment used by Edison and his colleagues in the West Orange Laboratory starting in 1881. Guests can also view manufactured goods and materials associated with the research and the development of manufactured goods by Edison and his colleagues. Ocean City Boardwalk is 3-miles long, and does not seem to lack activities to take part in year-round. Locals and visitors alike stroll, bike, rollerblade, and walk their dogs along this world-famous boardwalk. Landmarks around Ocean City Boardwalk include the United States Coast Guard Tower, the Inlet Indian sculpture, Trimper's Carousel, and Ocean City Lifesaving Station Museum among others, all strategically located for the convenience of tourists. There are several classy hotels overlooking the beach, such as Grand Hotel and Spa, bars with cold beers and fun cocktails to grace your evening, as well as pet stores. The boardwalk is always enlightened with street performers, kite fliers, and beautiful views. Grounds for Sculpture is a facility where effective and sensitive techniques are used to serve people with disabilities. The facility hosts artist events, group activities, and team-building to entertain their guests. Guests with limited mobility have an opportunity to tour the park with a docent-trained Accessibility Assistant on an ADA rated vehicle that can accommodate a wheelchair. Trailside Nature and Science Center is Union County’s Environmental Educational Center. 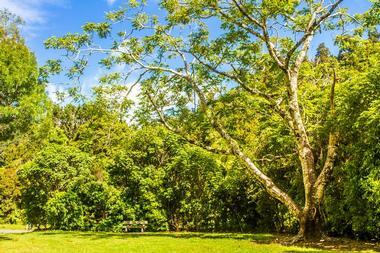 It is built on a preserve of woodlands, fields, lakes, streams and hiking trails, making it a wonderful tourist destination. Guests get an opportunity to see the famous 34 foot American beech tree, which fills the whole building’s atrium. Walking, biking and hiking on the center’s natural surroundings allows for the most memorable moments. The arboretum has classrooms, a library, a children’s discovery room, and a large 250-seat auditorium. These facilities give it the advantage of hosting large groups. It even allows for hosting of birthday parties and other celebrations. Battleship New Jersey Museum & Memorial is the most decorated battleship museum in the country, with a mission to restore, preserve, exhibit and interpret the history of the USS New Jersey. 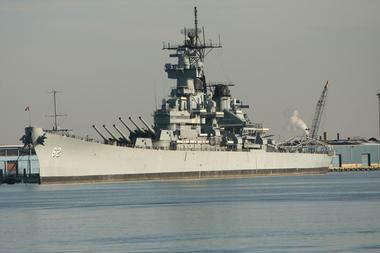 The museum commemorates the brave sailors that served aboard the battleship, and is steeped in history. 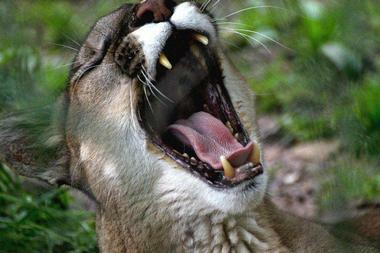 Cape May County Park and Zoo provides fun moments for both kids and adults, hosting a wide range of wild animals. Some of the must-see animals in the zoo include the rare Golden-Headed Lion, the Dromedary Camel, Ankole Watusi, American Bison, the Australian Black Swan, the interesting black howler monkey, alpaca, and the African lion, just to name a few. There are scavenger hunts for both the younger and the older kids, and sleepover and adventure camping can be arranged in the zoo as well. There is a ‘Zoo to You’ program in which some animals are taken to surrounding schools and estates, and lessons on the animals are provided. Lakota Wolf Preserve offers an intimate view of wolves in their natural habitat through their Wolf Watch Tours. Once you are in the preserve, you are surrounded by four packs of wolves. You will learn about the social structure of wolf packs, their eating habits and interaction with man, as you watch the wolves playing, interacting, and even howling. The Morristown National Historical Park commemorates the sites of General Washington and his continental army’s winter encampment from December 1779 to June 1780, which is the longest winter in history. 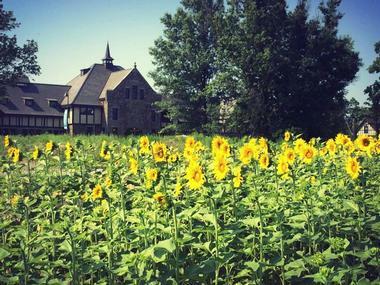 The Frelinghuysen Arboretum provides the knowledge and enjoyment of horticulture and the natural world. With the help of volunteers, the Arboretum is helping to preserve this valued community and regional resource. Guests learn the history of, and tricks to grow and cure, garlic, in addition to different recipes. 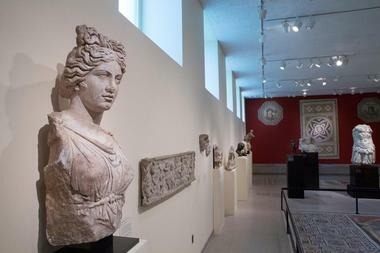 The Princeton University Art Museum aims to provide visual arts to the university students, visitors and other scholars. Tours for university students and other groups are a perfect way to see the museum, due to the comprehensive and large variety of educational displays that are not only academic, but also fun. 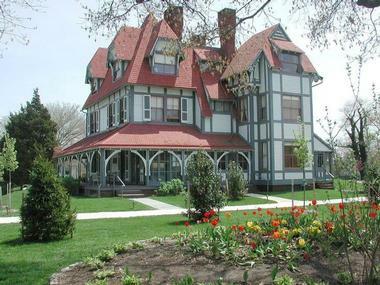 The Emlen Physick Estate educates school children and other interested guests on Victorian-age architecture, decorative arts, customs, and one Cape May family, the Physick’s. 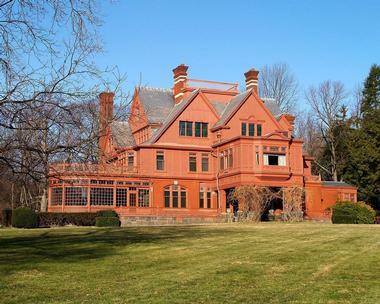 The estate is outstanding, with its avant garde Stick Style architecture, uncommon projections such as bays, raised boards, and overlaying clapboarded walls, geometric designed decorations, and asymmetric forms and roof lines. These features make the house really stand out in the neighborhood. Being in Cape May, which is known for its haunting legends, the estate provides a view and experience of the original haunted house. The house is haunted by a ghost of a Physick family member, who seems to know everything that goes on in the house. Located on the Camden waterfront, Adventure Aquarium maintains high standards of animal care and exhibition. Visitors have the chance to view more than 8,500 aquatic species throughout two million gallons of water. Get a view of rare water species such as the only Great Hammerhead Shark on exhibit in the United States, as well as a hippo exhibit. The Historic Cold Spring Village has several buildings, each with its own history and inside experience. Some of the buildings and activities that fascinate visitors include the Spicer-Leaming House, the Dennisville Inn, the wool-spinning and fiber arts demonstration, the blacksmith’s shop, the bakery, the tinsmith, and the Taylor Poultry House. The Hoboken Waterfront Walkway is a pathway on the western shore of the Hudson River in New Jersey that runs for 30 feet adjacent to the river, making it a magnificent attraction. Its full length is 18.5 miles, running from the George Washington Bridge to Bayonne, going through several municipalities in New Jersey. The walkway is color coded to help pedestrians navigate, making it easy for guests and locals alike to use the walkway for walking, biking, and jogging. Some sections of the walkway are even easily accessible by public transportation. Those looking to be in the water will be happy to know that there are also parts along the walkway where visitors can fish, boat, and kayak. 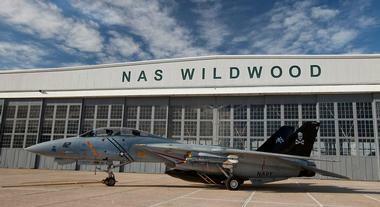 The Naval Air Station Wildwood Aviation Museum is a non-profit organization that stands inside Hangar #1, which houses aircrafts, engines, special exhibits, and thrilling educational displays. It also has a coast guard exhibit that commemorates the defenders of the American Coast. Turtle Back Zoo is a wildlife conservation center offering 15 exhibits featuring animals from all over the world. The Southeast Asia exhibit features the Amur Leopard and the Red Panda, two species that are threatened with extinction. 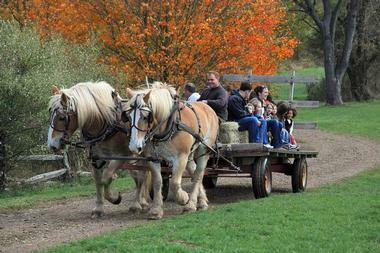 Howell Living History Farm offers its visitors the chance to experience life on a typical farm, all while participating in seasonal activities that are part of the Farm's actual operations. It offers several programs that cater to all ages and preferences. Morristown Game Vault serves up classic video game nostalgia in Morristown, offering more than 110 favorite video games for play in a facility owned and operated by David Balsamini since 2016. 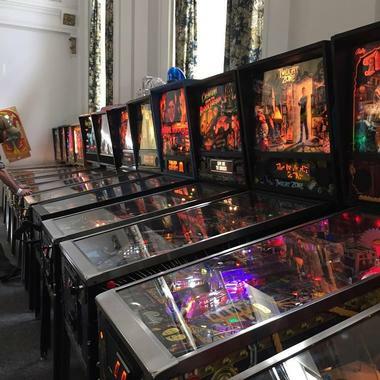 The game vault is home to a vast array of top 20th-century video games, console games, and pinball machines, including iconic favorites such as Pac-Man, Asteroids, Q-Bert, and Donkey Kong. Play time is tracked by wristband, with rates available for half hour, hourlong, and all-day game play. All games are set to free play throughout designated player time, allowing for repeat tries at favorite games and high-score attempts and recognition. The facility may also be rented for private special events, including summer camps, team-building events, and birthday parties for the young and the young at heart. Duke Farms offers educational programs for students, families, and professionals on land stewardship processes. 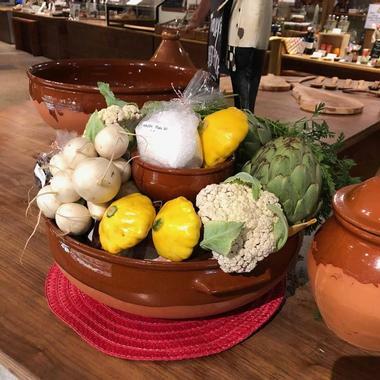 It provides a farm-to-table market to the locals, where locally-sourced products are accessible. 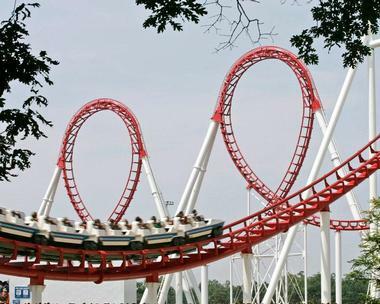 Six Flags Great Adventure provides such a wide variety of entertainment, as well as recreational and interactive activities that one cannot exhaust them in a day, ranging from thrill rides to live entertainment. The park recently introduced a 4D free-fly coaster, and they are always looking for exciting ways to satisfy their guests. Thrill rides include Batman: The Ride, Bizzaro, Daredevil Dive, El Diablo, and Superman: Ultimate Flight, which makes breath-taking loops, twists and curves. Real thrill-seekers will want to take a ride on the Green Lantern, which reaches record-setting heights. Skull Mountain is great for those who don’t like heights, but prepare for darkness! The Sterling Hill Mining Museum is a remarkable and world-class geological exhibit of mineral deposits and mystery. 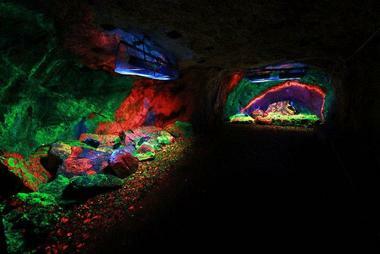 It displays rocks and minerals, such as the beautiful and rare fluorescent minerals, from Sterling Hill as well as from all over the world. Guests can visit the Rock Discovery Center, a large area where visitors can learn about earth science and even collect rocks to take home.